Fuerteventura is situated just off the west coast of Africa, so it enjoys plenty of sunshine all year round. 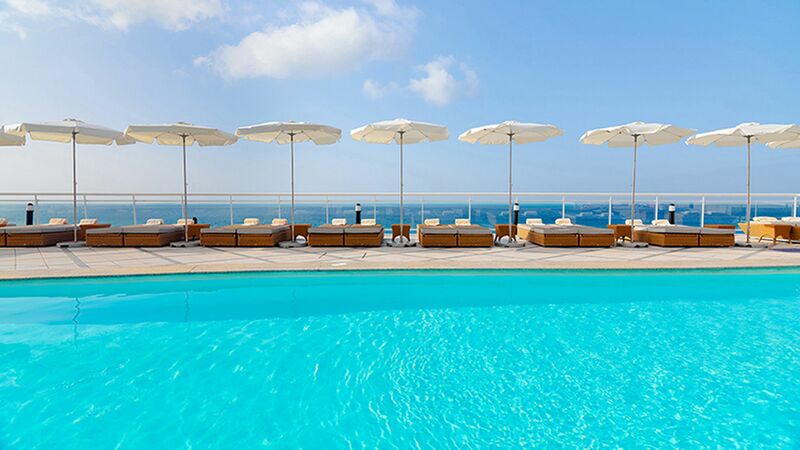 It’s the second largest of the Canary Islands, and there are plenty of luxury hotels and over 150 beaches to explore. There really is something for everyone, whether you’re looking for an entertaining family resort or an adults only romantic retreat. Caleta de Fuste is a renowned family destination, and you’ll find lots of watersports scattered along the beaches. As well as plenty of restaurants serving a variety of meals, catering to all tastes. If you want more of a quiet retreat when away head to Jandia, where you’ll find secluded beaches to relax in the sun. 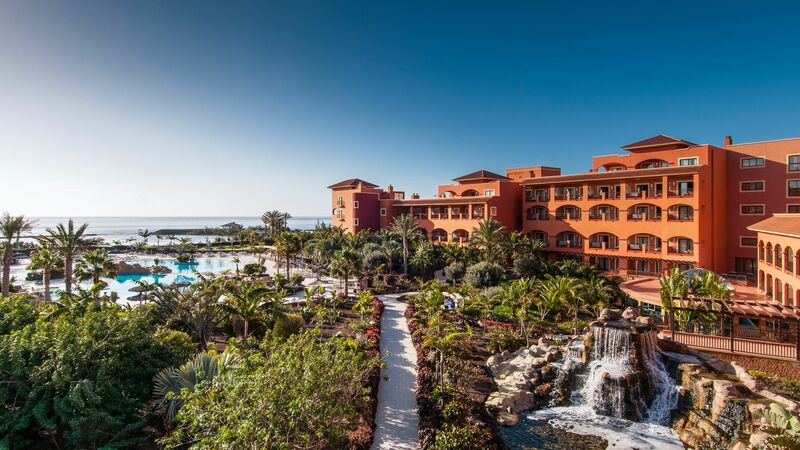 When you book your Fuerteventura hotel with Sovereign, we’ll look after you every step of the way. All of our luxury hotels have been carefully selected, and our Trusted Advisors’ knowledge of the resorts and hotels means they can suggest the perfect one for you. 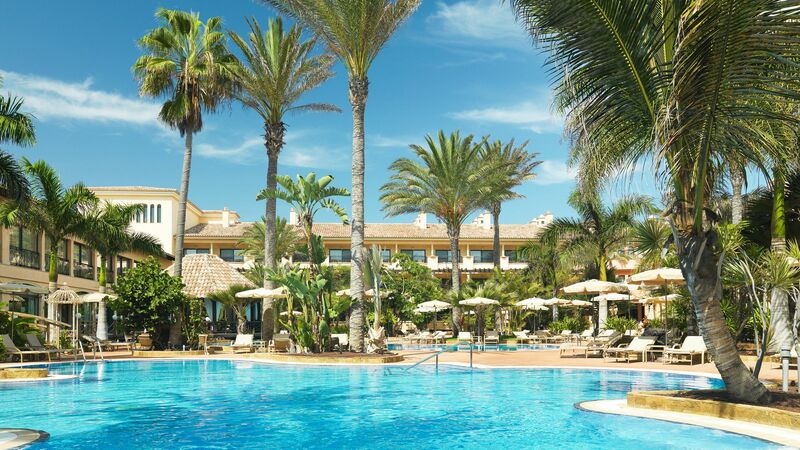 Just a few minutes away from the beach in Caleta de Fuste, the Sheraton Fuerteventura Beach, Golf & Spa Resort is an ideal place to stay if you want a relaxed and pampered holiday. Play golf, or unwind with a massage at the Hesperides Thalasso Spa. XQ El Palacete couldn’t be any closer to Jandia beach. In the immediate local area you’ll find a small range of shops and restaurants. You can enjoy a mixture of dishes including seafood and traditional Spanish cuisine. If keeping the children entertained is at the top of your list, the Gran Hotel Atlantis Bahia Real in Corralejo is the perfect choice. There are plenty of kids’ clubs available, leaving you to unwind and have a relaxing spa session, while the little ones are having fun.